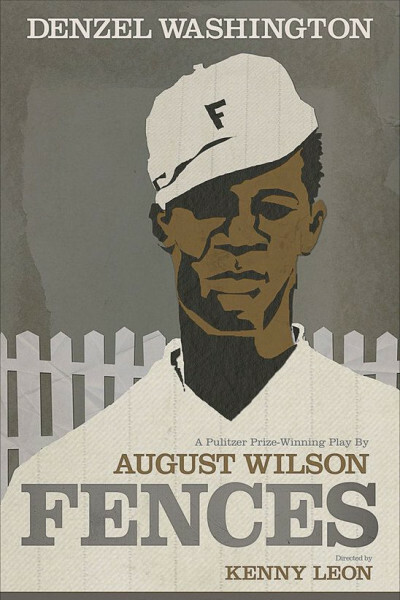 Starring and directed by Denzel Washington and written by August Wilson (based on his Pulitzer Prize winning play of the same name), Fences is a talkie if ever there was one. Yes, much of the writing is remarkable, but it reminds me why I don't like plays: too much talking! I was tired of listening to everyone after about twenty minutes, and then they jabbered on for another two hours about the unfairness of life. It's about as upbeat as Arthur Miller's Death of a Salesman. Denzel and Viola Davis are phenomenal, of course, having respectively won Best Actor and Best Actress in a Play and earning a total of ten Tony Award nominations for their 2010 13-week revival of the play (first made famous by James Earl Jones). Nothing could or should diminish these facts. But give me a movie-movie, with changes of scenery, music, varied pacing, long shots, periodic peace and quiet, gorgeous cinematography, and more to ricochet my mind hither and yon that I may care for so long.